While PUBG might have lost its throne, it is still one of the best battle royale games out there, for PC, console, and mobile platforms. 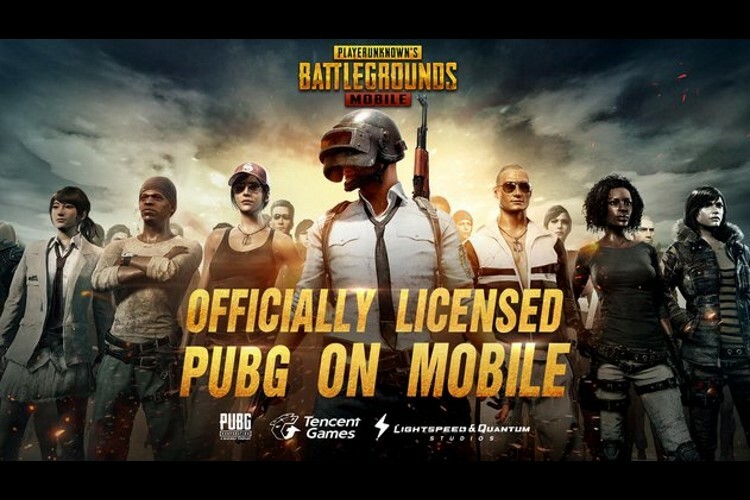 Unlike Fortnite, PUBG Mobile is available on both Android and iOS, which has resulted in the game becoming a bigger success on mobile as opposed to Fortnite, which is rumoured to be coming later this week. Now, while PUBG Corp. has been busy rolling out updates for the PC and Xbox One, Tencent Games has just rolled out the new update for PUBG Mobile, which brings along much-anticipated features. For a while now, we’ve been talking about the 0.7.0 update that has been scheduled to hit the servers soon. While the update had rolled out earlier in other countries, the 0.7.0 update is now finally rolling out to users in India as well. The new 0.7.0 update brings forth features that have been in the Beta testing for a while now. These changes include a new War Mode, which is described as a fast version of the existing Arcade Mode. War Mode also looks set to be only accessible during certain times of the day, although it’s unclear if this is something just being tested during the beta. Apart from that, the update also brings forth a new SLR Sniper Rifle added, and a new portable Closet, which could work well with the Royale Pass. The changelog also lists out First Person Perspective (FPP) now being supported in custom rooms, and players now also have the ability to create as well as join Clans. While nothing has been mentioned explicitly, one can expect the Clans feature to increase the “Synergy” in the game. 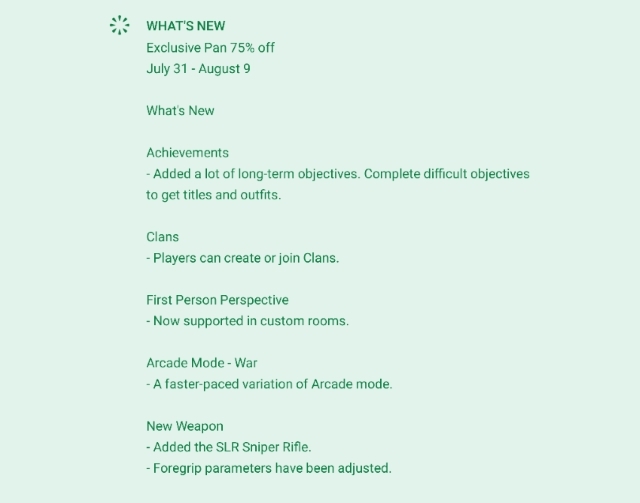 Lastly, there is also a 75% discount available on the ‘Exclusive Pan’, starting from July 31 to August 9. The new update should be live now, and users can head over to the Google Play Store or the Apple App Store, depending upon their platform, to update their game. Also, if you’re an Android user and prefer to stay up to date on all the changes, you can enroll yourself in the PUBG Mobile Beta programme.